Welcome to the finest Summerlin has to offer. 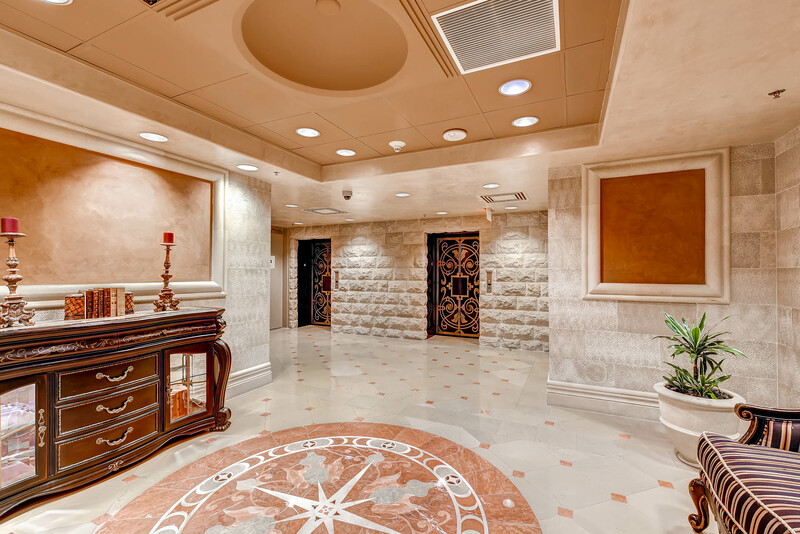 Known throughout Las Vegas as the pinnacle of fine living, One Queensridge Place is without equal in beauty, elegance and luxury. Timeless design abounds. Every inch of these prominent, dueling 18-story towers is the result of tireless precision and artistry. Set in the heart of Summerlin, Las Vegas’ most premier community, fine dining and shopping is within just walking distance of these towering homes. As marvelous as the towers of One Queensridge Place are to behold, it is the individual homes within that capture opulent living in a truly special way. 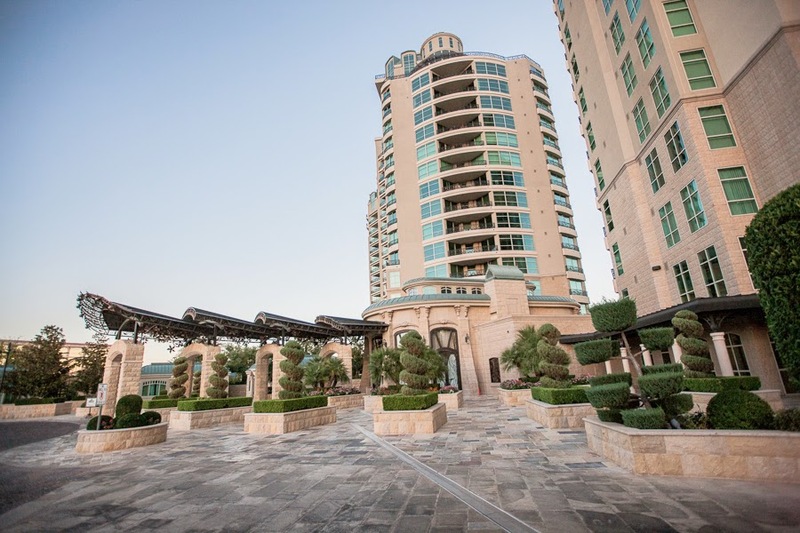 Ranges offered extend from just under 2,000 sq ft to well over 11,000 sq ft in the prestigious Crown Penthouses. No other luxury residential tower development offers a more diverse range of ownership opportunities. Residential options include the Garden Homes, a unique blend of refined high-rise living with the benefits of 1st floor grounds and living space. From the ground floor up, designers had the ultimate goal in mind of making each luxury condo feel and ‘live’ like a true home. To accomplish this, special emphasis was placed on the kitchen area. As the main gathering area in modern homes, each gourmet kitchen at One Queensridge Place is oversized, providing high functionality and featuring the finest in stainless steel Viking appliances. Whether you’re fetching a quick snack, or preparing Thanksgiving dinner, every moment of time spent in a kitchen of this quality is enjoyable. 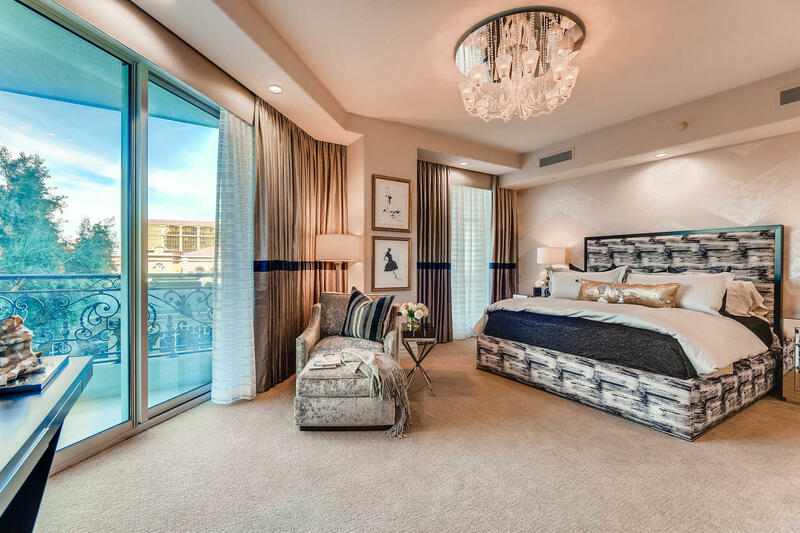 Each home features rarely found smooth-finished walls, exclusive use of solid-core doors, polished travertine flooring, carefully selected light fixtures, and wrought iron trimmed terraces to enjoy the rarefied Summerlin air. Each residence is graced with a beautiful floor to ceiling entertainment center, crafted from premium millwork and featuring a central stone fireplace. 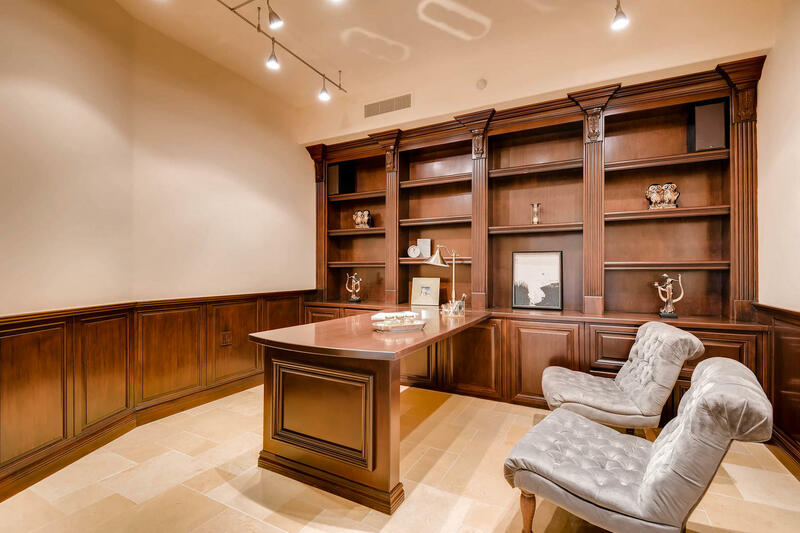 Many also boast a full-fledged office space, providing computer desk, writing area and paneled premium cabinetry to hold your library. 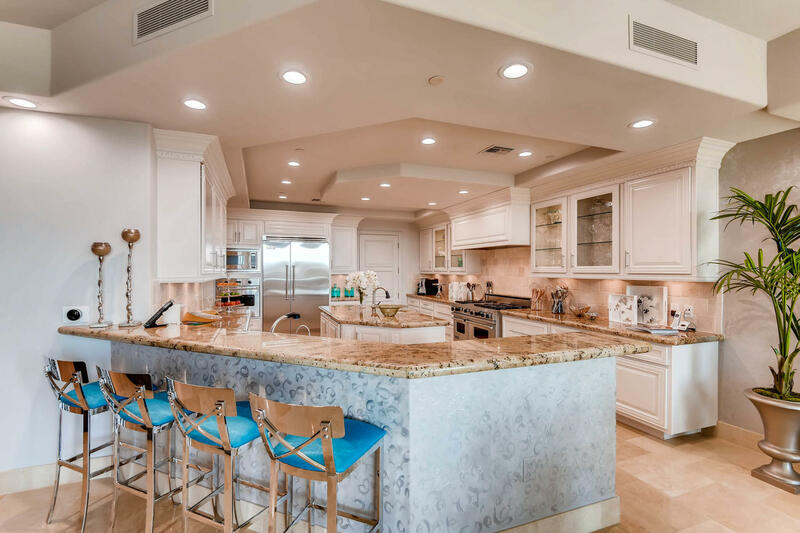 The wet bars found in the living areas of larger homes are accessorized to match kitchen cabinets & cabinetry, even boasting a miniature Viking fridge. Master bedrooms are the ultimate end of the day retreat from a hectic world. It is here where the benefits of the high quality of Queensridge Place construction becomes apparent. Thick walls and generously laid concrete between each floor create an effective barrier to the unwanted noises of city life. 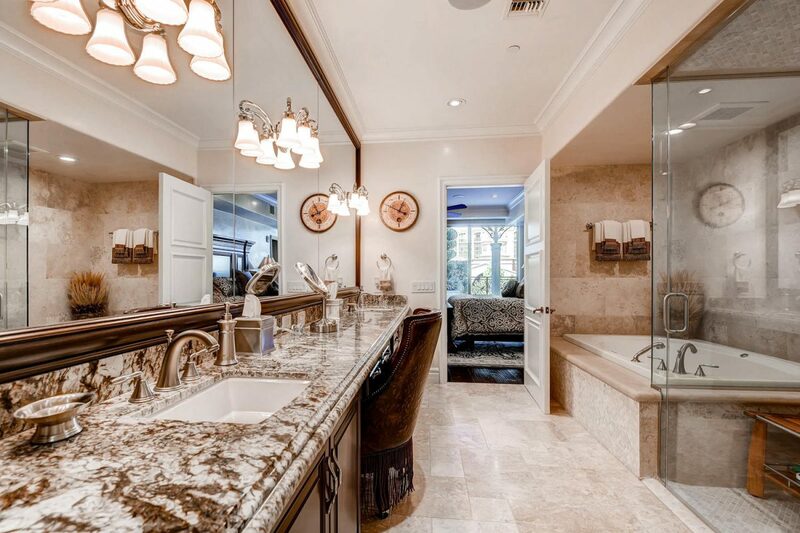 Complementing your haven for rest and tranquility is the master bathroom, as it offers every luxury imaginable. From sparkling fixtures, spa-like walk-in showers to incredible signature stonework found only in One Queensridge Place, you’ll be hard pressed to find a master suite better appointed. A world class creation for a world class lifestyle. 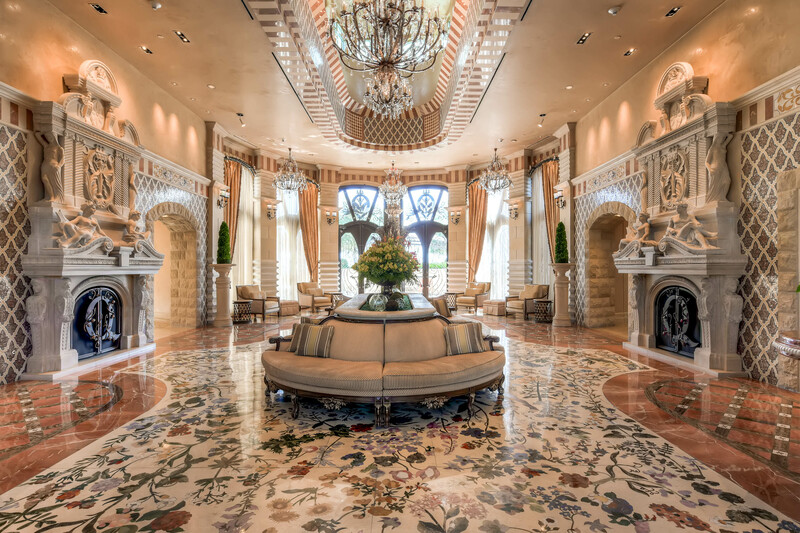 The creation of Summerlin’s One Queensridge Place was no small feat. Once through the front gates, it seems nothing is off limits. Each of the beautifully designed 219 units offer not only stunning views from every window, but exceptional use of interior space to create a true luxury home in the clouds. Taking inspiration from the likes of the Champs-Eysees landmark in Paris, the Parthenon in Athens and the Trevi Fountain in Rome, designers aimed to create a high-rise that would not only stand the test of time, but complement the ever changing Las Vegas lifestyle & skyline for years to come. To construct something to the magnitude that the designers envisioned would take not only the finest architects, but a multitude of natural stones and second-to-none finish work. No other high-rise construction features the amount of natural limestone used in Queensridge Place. 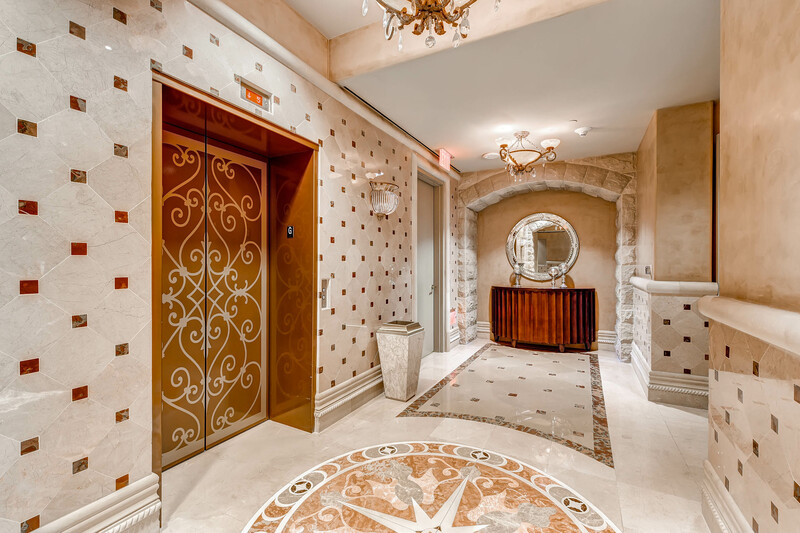 In addition to the abundance of ornate mosaic pictures that line the common area walls, Queensridge Place is home to the largest known Pietra Dura in North America. Coupling this with floor-to-ceiling Venetian plaster, glowing oversized light fixtures and custom made furniture, the central lobby of Queensridge Place sets a dramatic tone for both towers. It is said that the cost incurred in the creation of Queensridge Place due to the selection of materials, craftsmanship and expansive nature make it a property that could never be replicated. Located at the corner of Alta Dr. and Rampart Blvd, One Queensridge Place residents enjoy walking distance to Tivoli Village, a shopping and dining experience unlike any other. European architecture of the village compliments the stunning Queensridge complex. 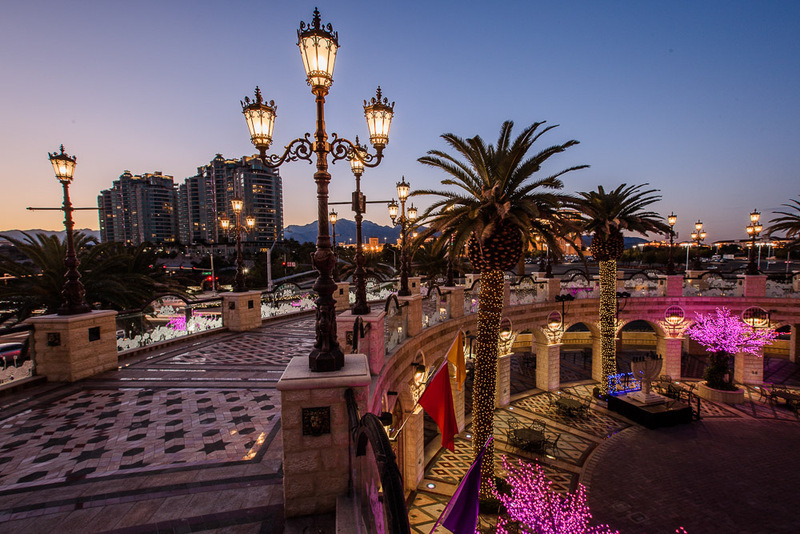 Tivoli Place is anchored by the renowned Echo & Rig Butcher & Steakhouse, Leone Café, as well as upscale retailers such as the Restoration Hardware store & gallery. Residents of One Queensridge Place enjoy the finest amenities imaginable. A state-of-the-art 25-seat movie theater will impressive any cinephile, while an exceptionally appointed gym and indoor lap pool await those keen on keeping in top physical shape. While these comforts are sure to delight all, it is the previously unthinkable comforts that One Queensridge place offers that make it truly one of a kind. Stunning his & her spas offer a tranquil escape from the day. Each spa features wet/dry saunas and exceptional architecture in keeping with the refinement of the towers. 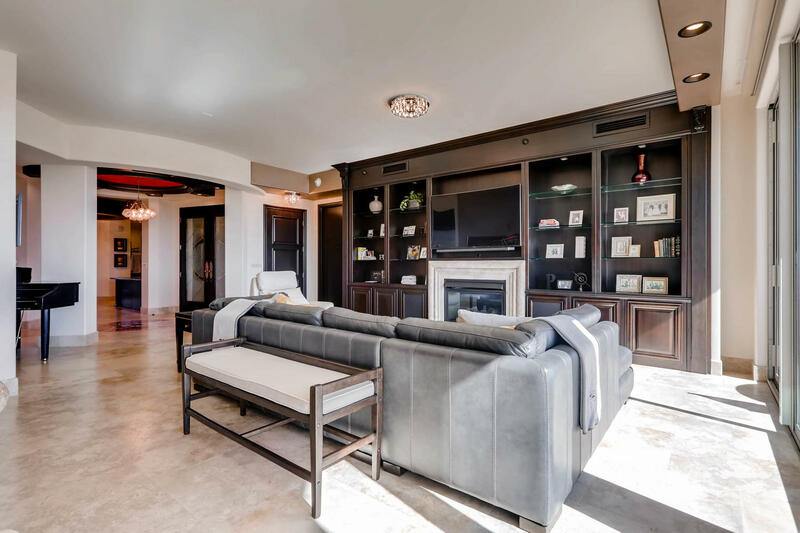 A finely crafted wine cellar creates the perfect atmosphere for a wine tasting among friends, and residents receive a deeded wine storage area to keep their favorite selections secure. A darkly burnished game room features a billiard area, card table and wet bar. All of this is centered in a comfortable lounge space, making it perfect for off-strip entertaining. Elegant verandas of limestone line the exterior spaces of One Queensridge Place. A second pool and well appointed outdoor kitchen await residents, while dazzling strip, city and mountain views can be had wherever your eyes land. 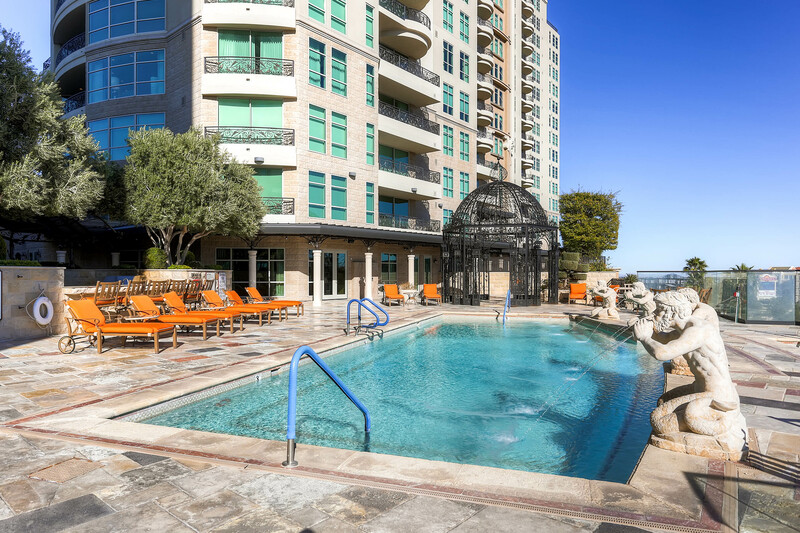 Beyond the stone-trimmed pool deck, lush curated gardens line the surrounding areas, creating an intimate, comfortable atmosphere unlike any residential high-rise before it. Never before seen in a residential building, three beautifully decorated on-site casitas are available for guests of homeowners. 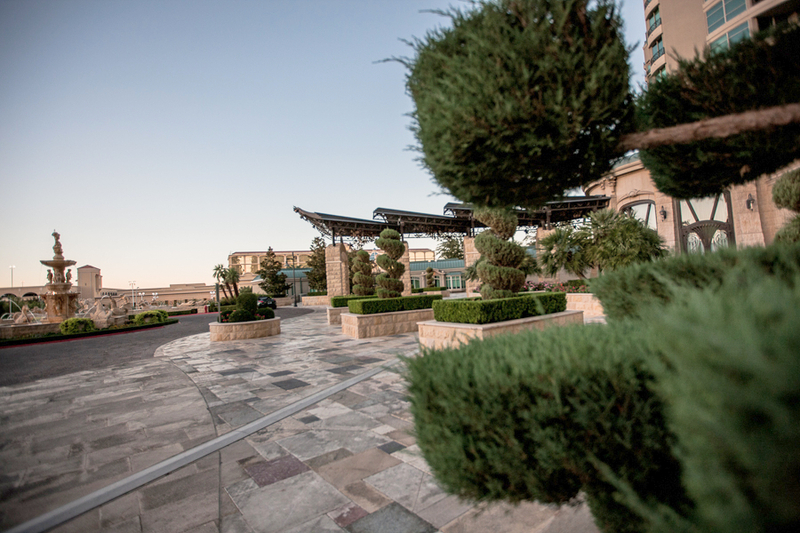 Other amenities enjoyed by residents include 24-hour valet & tower staff, an ornate, domed conference room and dog park.